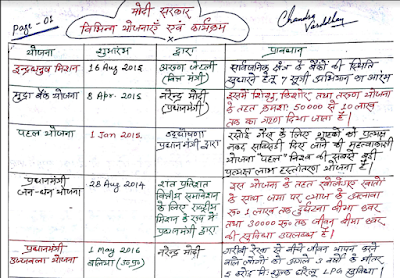 We are sharing hand written notes of Modi government latest and all important schemes in PDF. These notes are free for goCareer readers. Go through from these notes once before going to take upcoming exams like SSC and IBPS Bank. 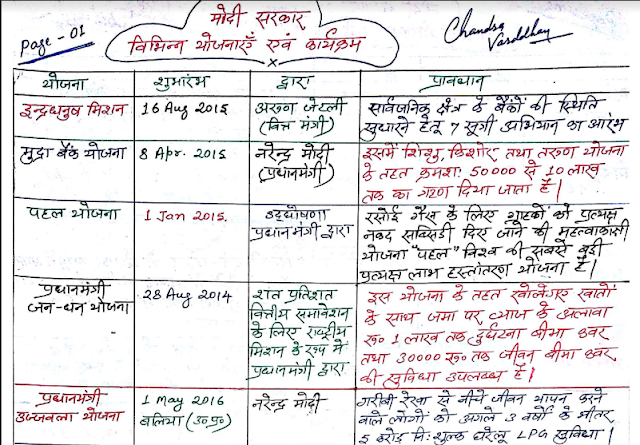 Click here to download Hand written Notes on Modi Gov. Schemes/ Yojnas in Hindi [PDF]. Click here to download Capsule for SSC CGL 2017. Click here to download Reasoning Notes in Hindi.